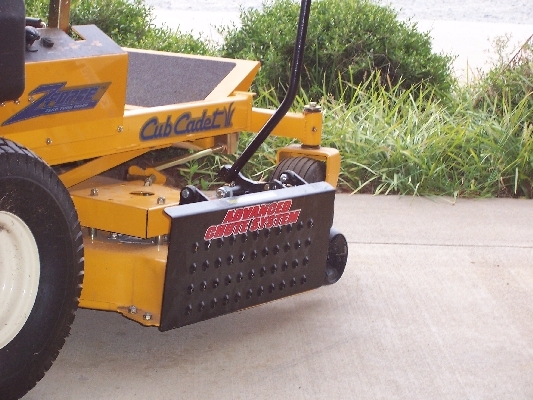 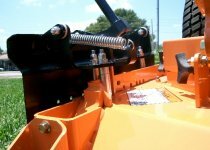 Download the appropriate Advanced Chute System Parts Manual below for more information about how to enjoy the endless benefits of using lawn clippings as mulch. 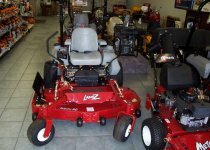 If you have trouble finding what you are looking for, please Contact Us. 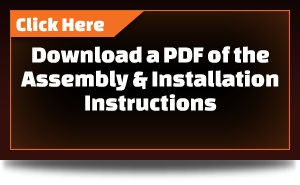 All manuals are in pdf format, click here to download a pdf reader if necessary. 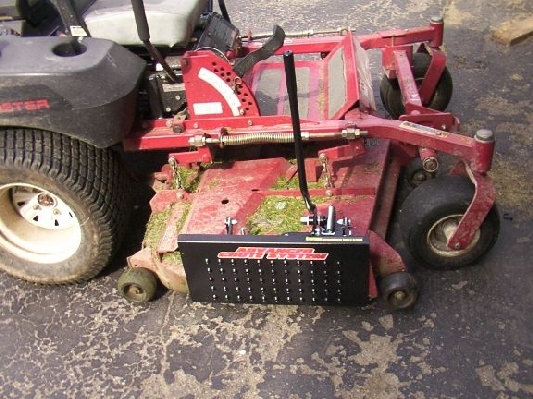 STEP BY STEP INSTALLATION OF YOUR ADVANCED CHUTE SYSTEM. 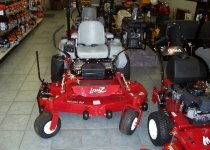 **Note: Cam is not available on UBS and UBLS models. 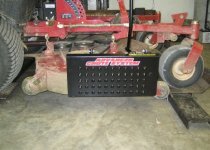 Step 1: Attach shield to base plate using 3/8" x 1 ½" bolts, 3/8 nylon washer, and 3/8 nuts. 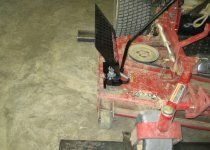 Before tightening, squirt a small amount of grease between the spacers where the shield pivots on the base plate. 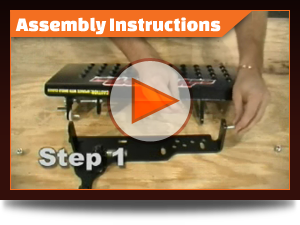 (Do not use all the grease; you will need it again in Step 4.) 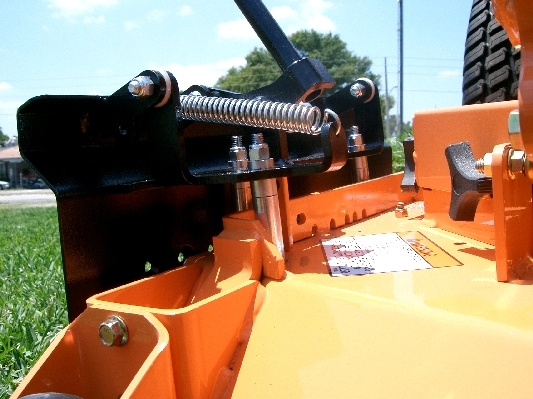 Tighten so you can still turn the bolt with your hand. 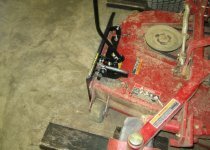 Step 2: Place nylon washer on 5/8 bolt. 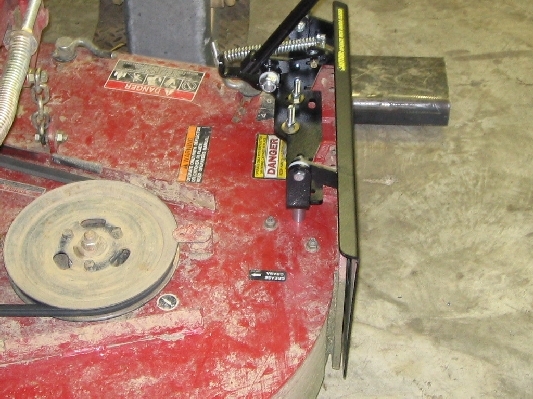 Step 3: Slide handle on 5/8" bolt and adjust handle so it slides between the two tabs on the shield. 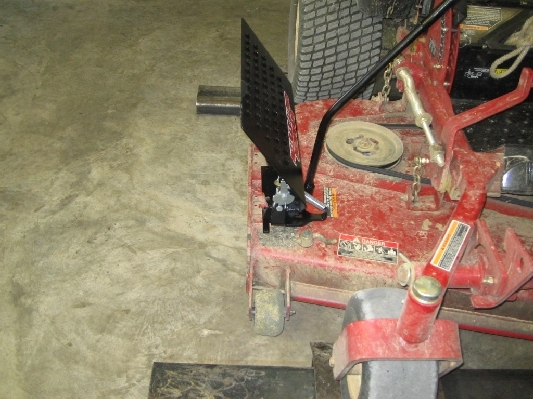 Step 4: Slide ¼" x 3 ½" hex bolt through tab, handle, and other shield tab so the threaded end is exposed on the spring side. 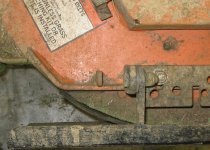 Place ¼ nut on bolt and tighten. 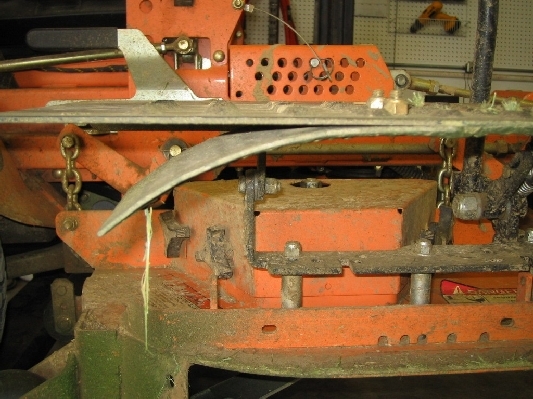 Squirt grease into handle pivot where the ¼" bolt slides. 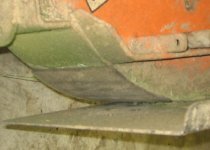 Grease this pivot regularly for easier operation. 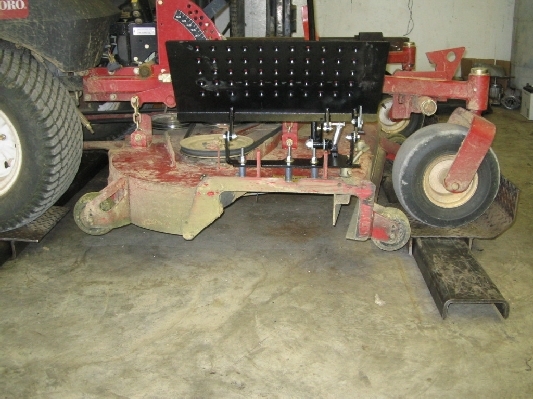 Step 5: Place second spacer on 5/8 bolt. 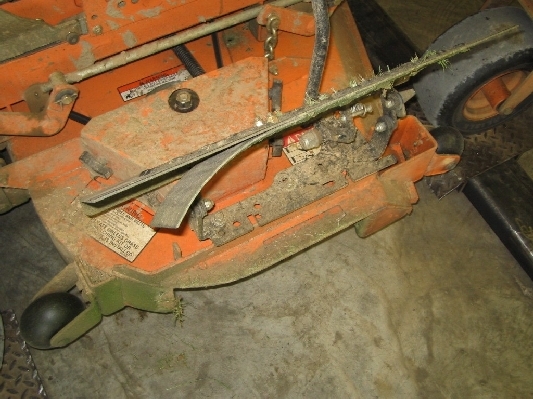 Step 6: Tighten 5/8" nut. 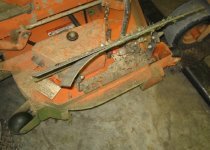 Don't tighten too much. 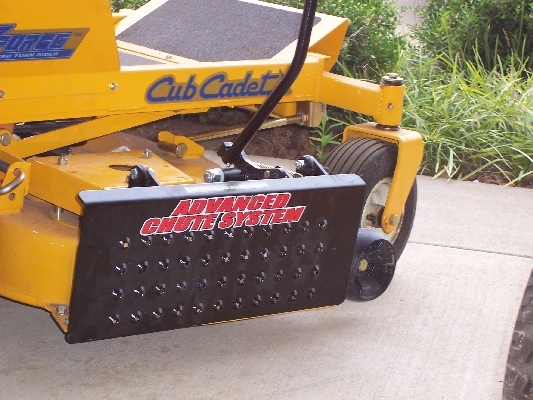 Step 7: Attach the Advanced Chute System to your machine before proceeding. 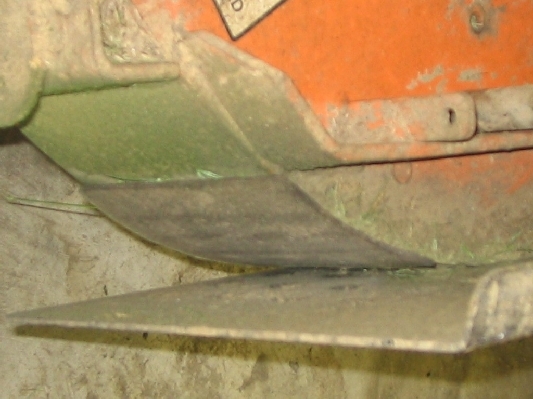 Step 8: Open Shield to full discharge. 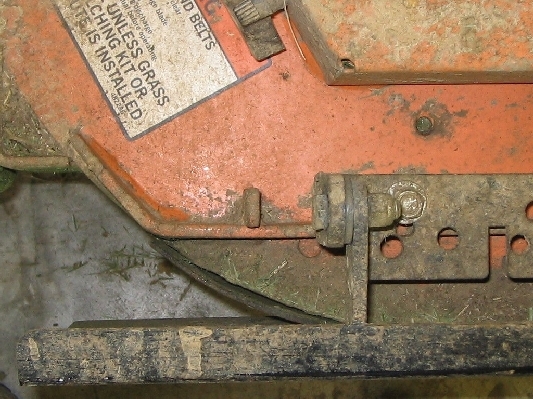 Step 9: Stretch spring to attach the exposed part of the ¼" x 3" bolt located between the nut and shield tab. 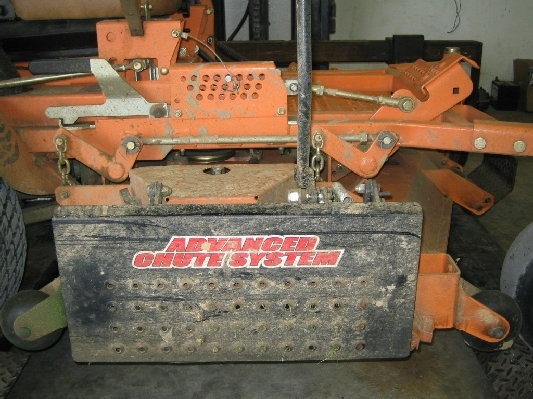 Place the Advanced Chute System on the deck in the closed position. 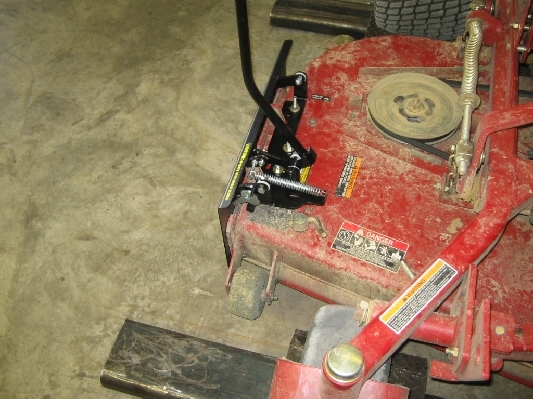 Ensure the shield is pushed against the discharge area so it is sealed around the edges. 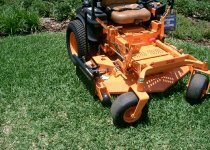 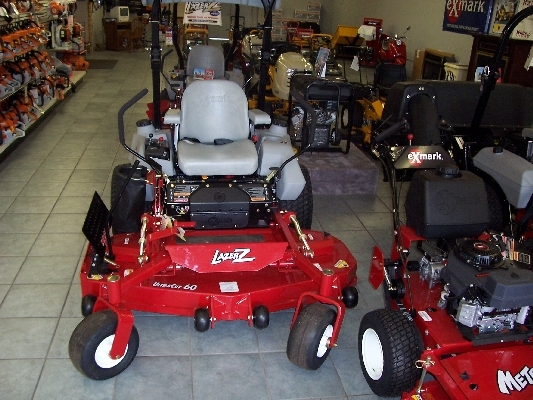 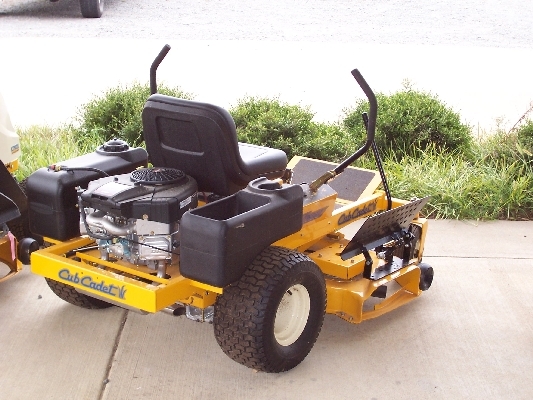 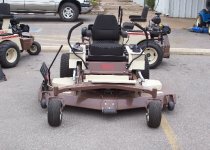 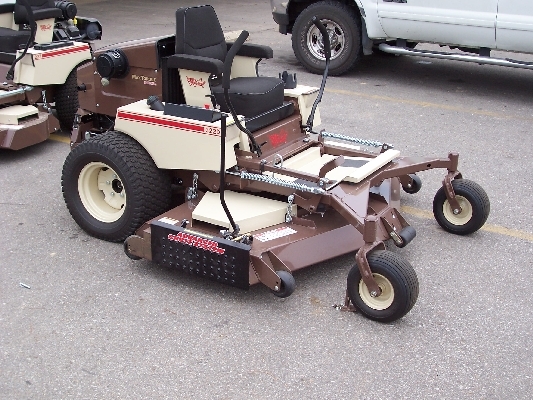 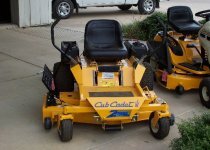 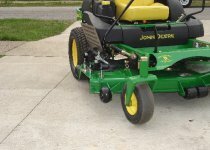 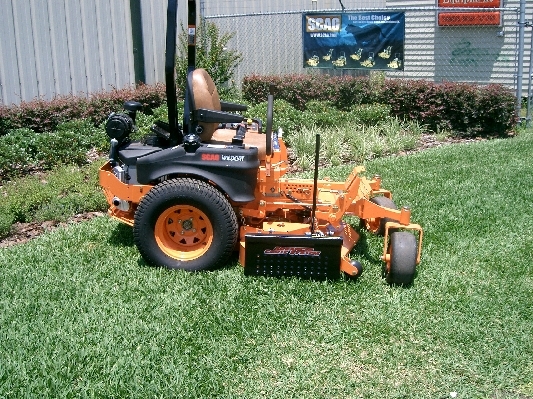 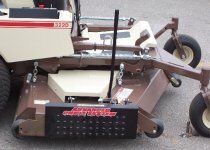 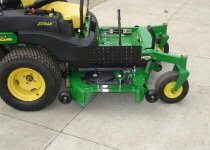 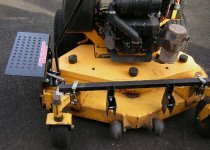 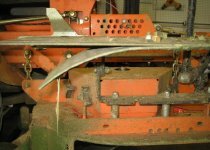 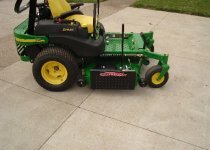 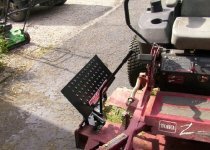 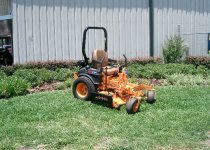 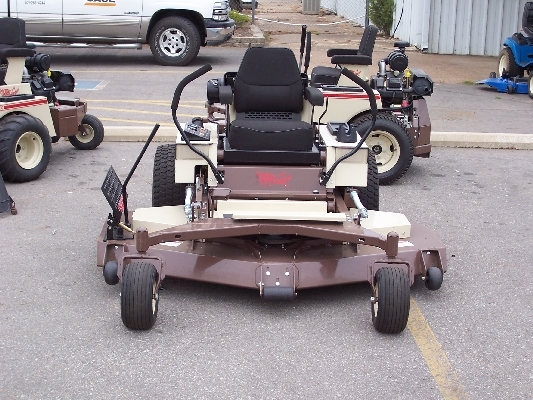 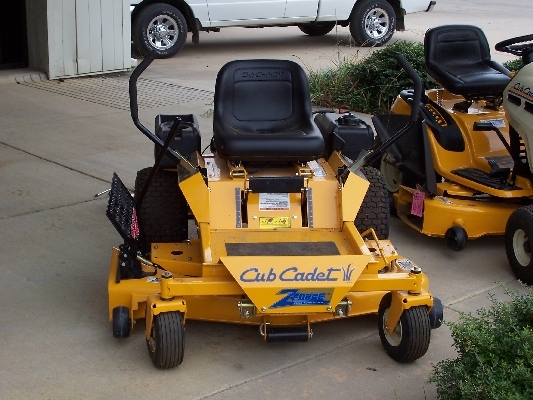 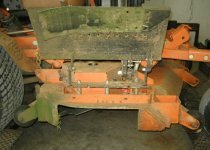 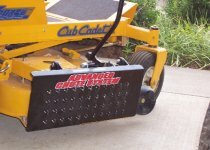 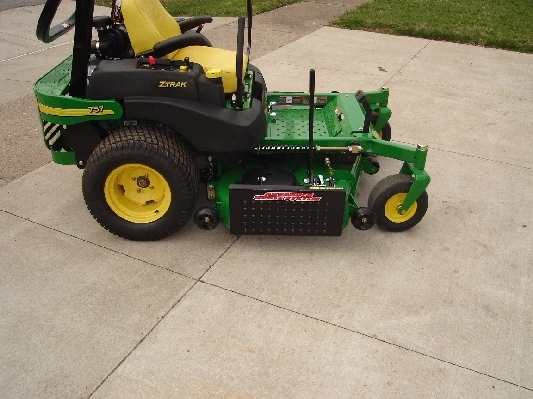 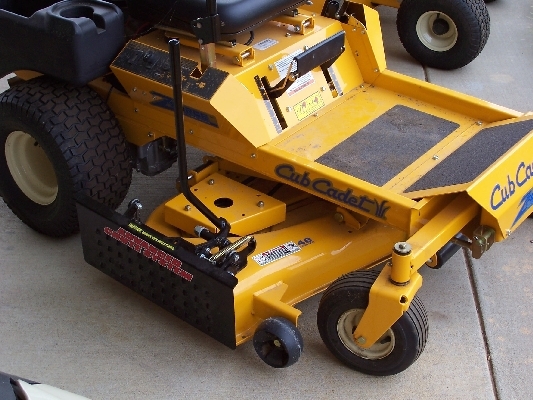 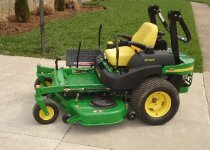 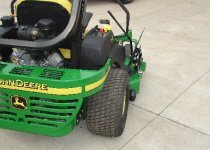 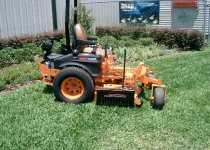 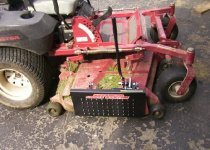 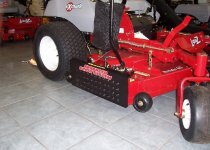 • If you have the ACS6000U or your ACS is mounting on a Bad Boy Mower, continue. 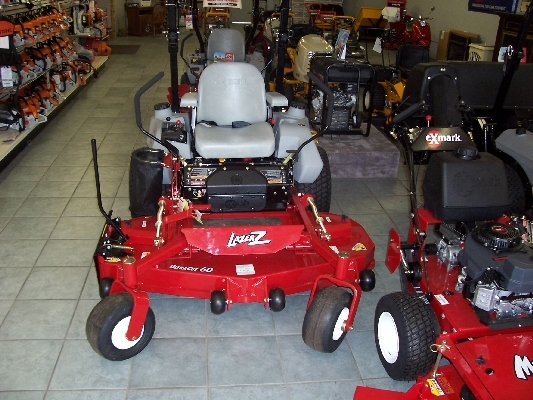 If you have any other model, see SECTION A. 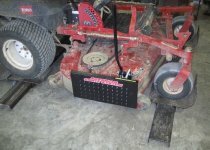 Mark and drill 3/8" holes. 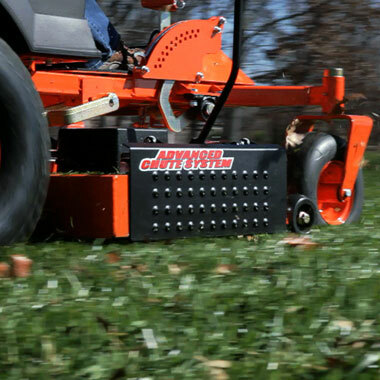 Not necessary for Bad Boy Mowers. 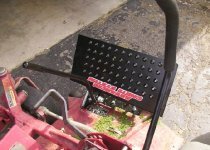 Secure the ACS to the deck with the 3/8" bolts. 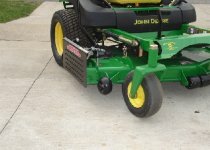 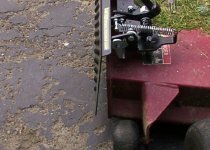 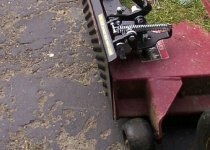 If you have spacers in your kit, your mower has a smaller opening than other mowers, or your mower has a lip or tabs that the ACS is designed to mount over. Place spacers on the deck. 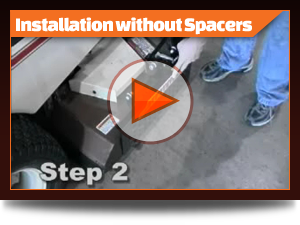 All of the spacers will not be used. 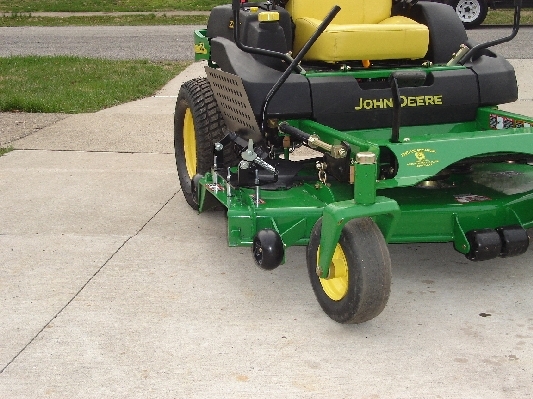 Use different combination of spacers to suit your mower. For example, a Great Dane 60" cut only takes the ½" spacers. On the other hand the Bobcat takes the 2" spacers, ½" spacers, and ¼ spacers stacked together to make a 2 ¾" spacer. 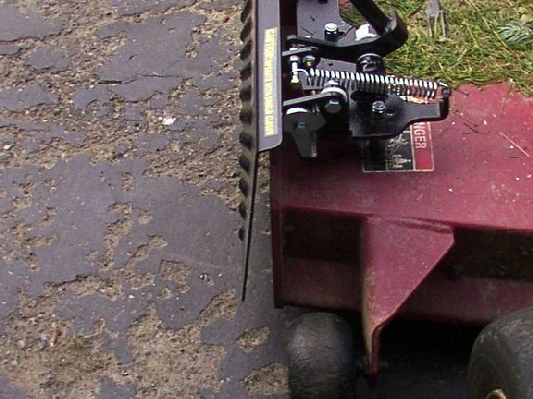 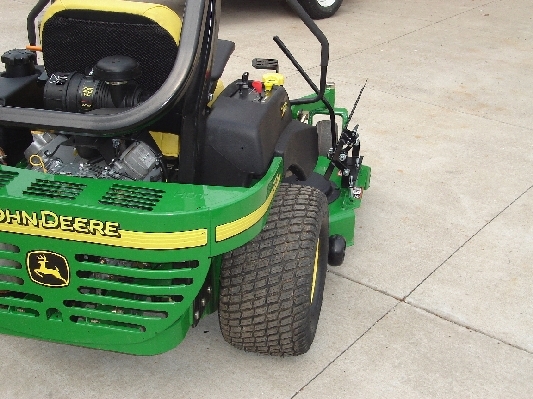 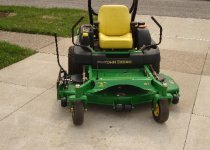 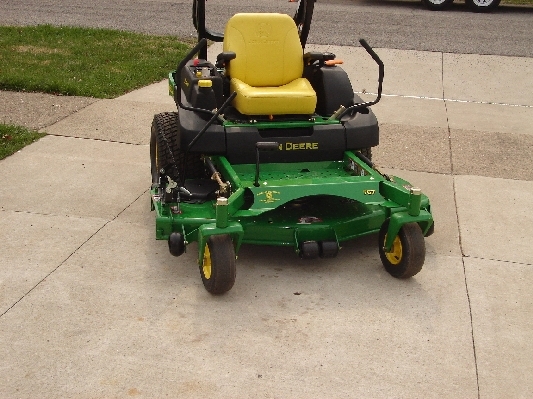 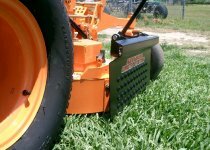 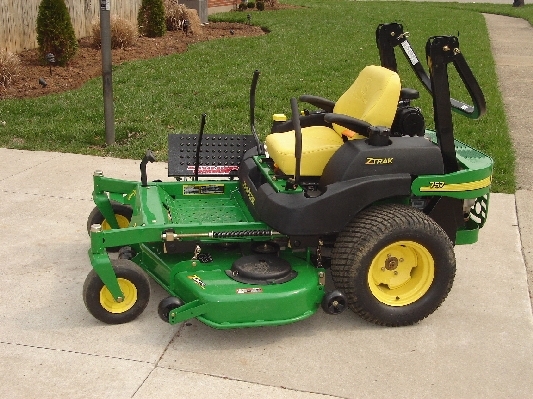 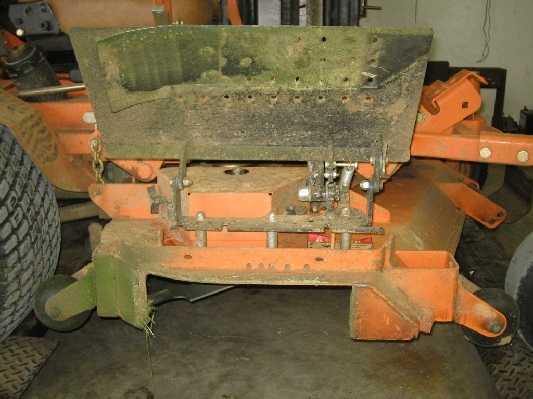 To ensure you are using the proper amount of spacers, place the ACS on the mower deck in the closed position. 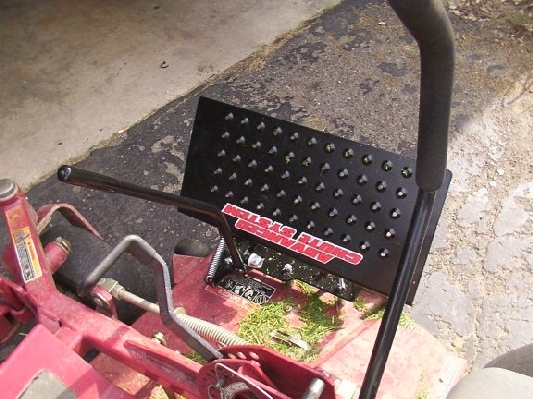 Use different combinations of spacers so the shield is flush with the bottom of the deck. 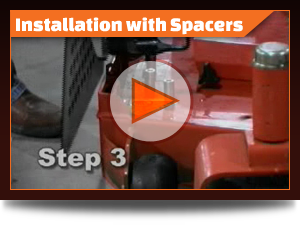 Once you have determined what spacers to use, place them on the deck and place the ACS on the spacers. 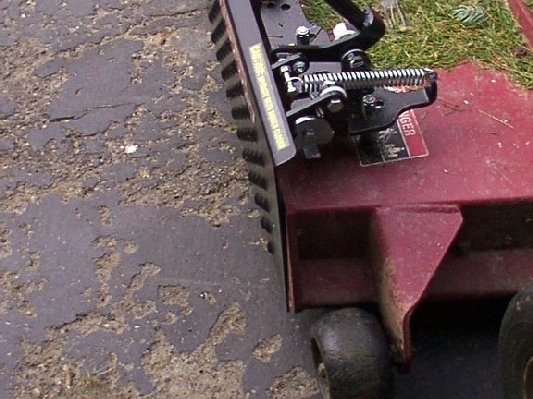 Make sure the shield is sealed around the edges and flush at the bottom. 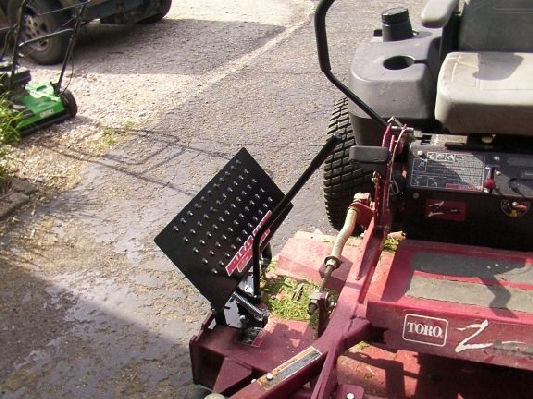 TIP: Use a ratchet strap or C clamp to hold the shield in the proper place. 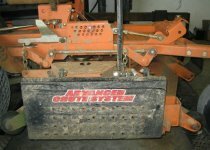 Align spacers on the deck. 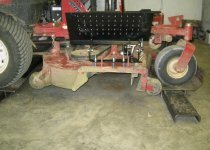 Place spacers on the deck. 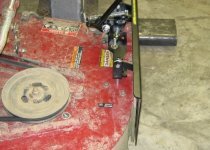 Put the 3/8" bolts in from the bottom to secure the ACS to deck.